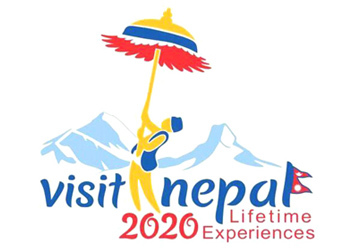 The Ministry of Culture, Tourism and Civil Aviation has planned the 2020 as Visit Nepal Year with the aim to increase the number of tourists to 20 Lakhs (2 Millions). Tourism vision 2020 Nepal has been set soon after the MOCTCA had planned to celebrate Visit Nepal Year in 2018 which was put off due to the delay in construction of airports (Pokhara and Lumbini), re-construction of heritage sites and roads. So, Visit Nepal Year 2020 will be the best time to celebrate the tourism vision year as the reconstruction of the heritage sites is expected to be completed before 2020. The Earthquake 2015 hit Nepal badly resulting in death of 8686 people and thousands of victim and homeless. After the Earthquake, the flock of tourists in Nepal decreased. Now, the tourism of Nepal has taken its path to grow and Nepal is receiving good number of tourists in the year 2017 and 2018. The announcement of the Visit Nepal Year 2020 will give a positive message to the world and the campaign will attract more tourists to Nepal.